Marks & Spencer, one of the UK's leading retailers, currently has 14 stores in Metro Manila, 6 Provincial stores and 2 outlet stores in the Philippines. A clear indication that Marks & Spencer has also become one of Manila's favorite retail stores offering men and women's fashion lines, lingerie, beauty products and food & wine. 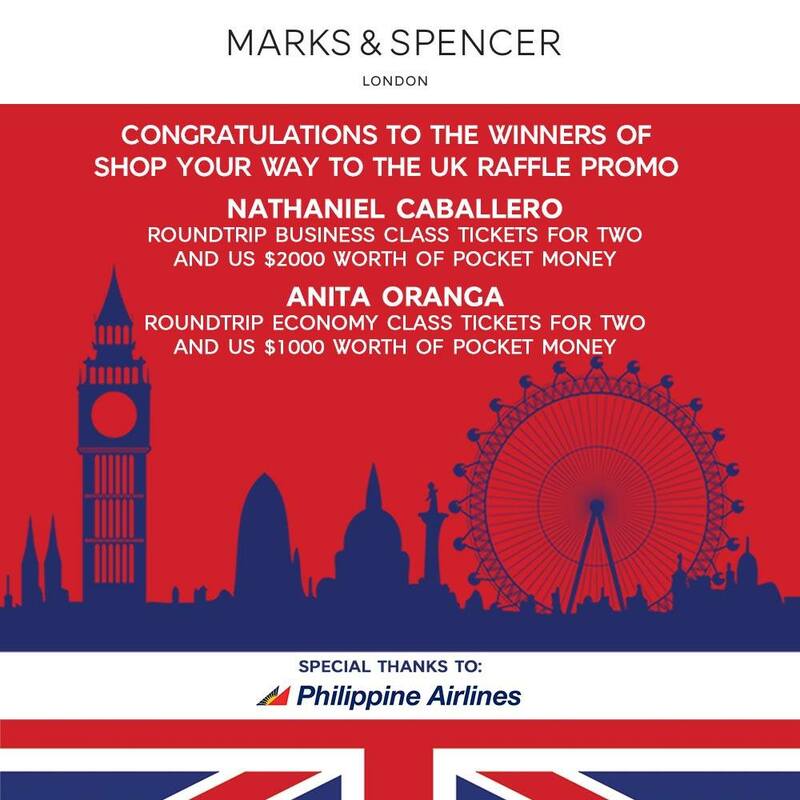 Recently, Marks & Spencer had a Promo open to all their Loyalty members where they can earn one raffle ticket for every P2,500 purchase of full priced or promo items in any Marks & Spencer store from August 14 to November 1, 2015. 1st Prize: 1 winner of round trip airline tickets to London for two via Philippine Airlines on Business Class plus $2,000 pocket money. 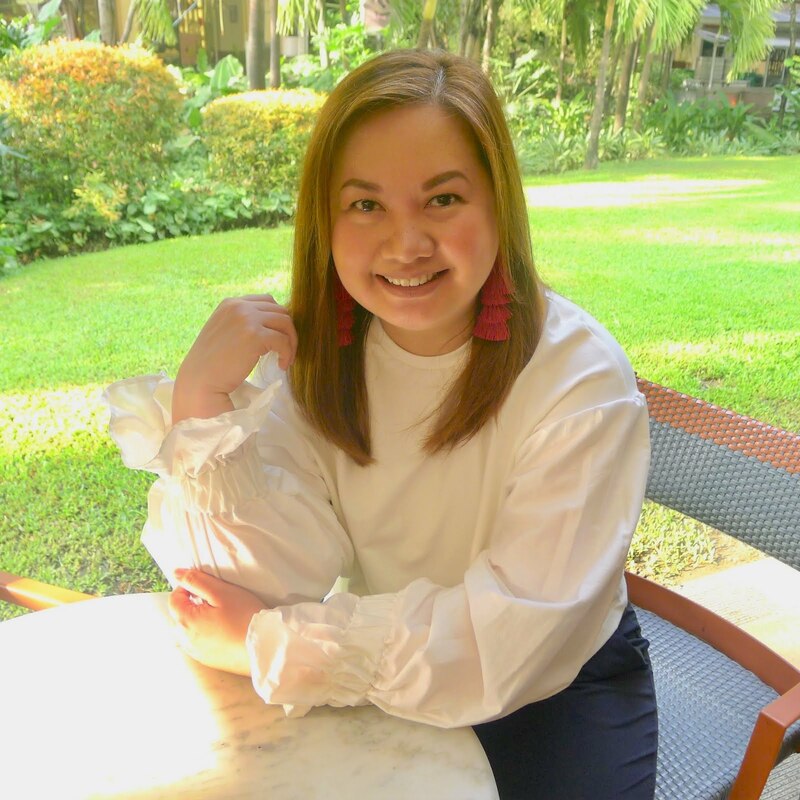 A few weeks ago, we celebrated with Marks & Spencer as they kicked-off early Christmas celebrations with the announcement of the winners of their Shop Your Way to the UK Promo at their Marks & Spencer Greenbelt 5 store. Sealed drop boxes from different Marks & Spencer stores were consolidated and delivered to M&S Greenbelt 5 for the raffle draw. The draw was also witnessed by a representative from the Department of Trade & Industry. Christmas Carols are in the air! Loved the performance of the Mandaluyong Children's Choir. They filled the store with melodies of well-rehearsed Christmas songs. Christmas is just around the corner, 5 Sundays away to be exact. Don't get caught in the mad Christmas rush, stop by your favorite Marks & Spencer store and find the perfect gift for your loved ones. Of course, it's always a fun time shopping with Chessika and Phya! Finally, here are the winners of Marks & Spencer's Shop Your Way to the UK Raffle Promo. Congratulations to the winners! It is a Merry Christmas, indeed! For updates on Marks & Spencer, follow them on Instagram @MarksandSpencerPH on Facebook @MarksandSpencerPhilipines and on Twitter @MarksSpencerPH.